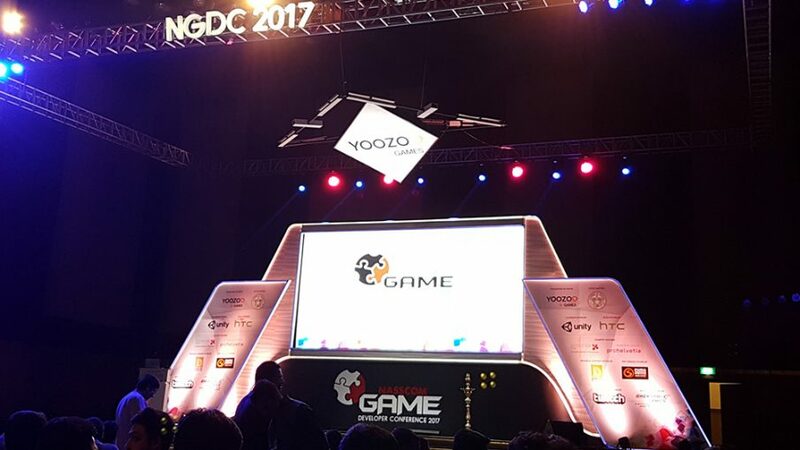 The Nasscom Game Developer’s Conference 2017 experience stood out in many ways. The topmost being that it inspired creativity. In whatever capacity the game development folks joined the conference, they added to the energy to inspire others. My focus this year was attending the sessions on serious and applied games because I wanted to learn how other serious game developers are thinking when applying gaming concepts to learning and training of people and in turn influencing behaviors. If you have ever given a psychometric test, you will know how painful it is to sit through a series of questions judging you on your personality, attitude, mental capabilities and behavioral style, which then conclude if you are fit enough for a role or promotion on a job. These tests cause immense user fatigue (believe me I have sat through it!!!) which sometimes leads to completing answers just for the sake of doing the test. Built with the intention to solve the issues related to taking text based psychometric tests, Indian game developer Talent Litmus spoke about their role playing game ‘Nautics’. Working together with psychologists, the team explained how they designed a game that mimics real life situations that helps them draw data points on decision making, attitude toward competition, and other similar thinking and cognitive skills of a person taking the test. Another interesting session was by Phaedra Boinodiris, a Serious Gaming/Gamification Global Leader with IBM, who spoke beyond gaming and gamification about AI and how it can be used to change people’s behaviors. She referred to different case studies involving the IBM Watson APIs. I loved the idea of an app giving personality insights or the present state of emotion of a person based on their tweets. Or a picture taken be tagged and classified very accurately. There were so many innovative ideas that attendees discussed when they understood the strength of the APIs. A research scientist from Lucern University, Switzerland spoke about using ‘Neurofeedback’, a promising therapy method designed for home learning for ADHD patients (Attention Deficit Hyperactivity Disorder patients). She explained how the content designed by them tracks the patient’s attention span using a medical device and alerts the user with a feedback mechanism when the attention starts dropping. Medical research based design has always been an area I’ve loved working on so the talk proved to be very interesting. The panel discussion with customers of serious game was encouraging to listen to because convincing customers to invest in games for learning is one of the biggest challenges we face in the industry. Anyone who is in the field of learning and training will have a story to share about how customers prefer traditional methods of classroom and web based training to impart serious knowledge. Gaming is always treated casually, but research has proven that games help in better retention of learning as compared to the traditional methods of learning, where we sit and read in a classroom. This TED video – Play is more than just fun, sums it up beautifully. I was glad the panel had the conviction that games have many added benefits while educating users.